Join us on Tuesday 4/2/19 at 11 AM EST to learn from experts Kent Graziano, Chief Technical Evangelist and Strategic Advisor at Snowflake, and Paul Johnson, Solution Architect at Matillion. Find out how to leverage Amazon Simple Storage Service (S3) or Azure Blob to build your data lake on Snowflake. This eBook shows how a modern data lake architecture can be designed to optimize advanced, enterprise-ready analytics. This whitepaper will outline the key tenants of a data analytics platform and illustrate how your business can adopt cloud technologies to design a fit-for-purpose solution that is cost efficient and scalable. You've selected Snowflake as your cloud data warehouse - now what? Read our 'Optimizing Snowflake' ebook to understand how to get the most out of your data and get the results you are seeking. Managing analytics initiatives with cost, developer resources, and time considerations in mind can be challenging. Many organizations initially approach these challenges from a path of least resistance: manually coding data pipelines with existing dev resources. Amazon Redshift Spectrum is helping users store and query data more efficiently. With Spectrum, you too can house your structured, semi-structured, and unstructured data in a single location (Amazon S3) and access it via Amazon Redshift—without having to move your data back and forth. Query and transform massive datasets to gain deeper, more meaningful insights. The Next Generation of Data Integration Success. Major shifts in the realm of data warehousing have inspired changes and developments in the processes, applications, and technologies that support data integration. In this eBook, we will explain how the rise of cloud computing brought about the birth of ELT—a fundamentally new approach to leveraging data. 60 pages of detail written by cloud data warehouse specialists, Solution Architects, and industry experts. BigQuery is a data warehouse for collecting, organizing and analyzing all of your data, so that you can get smarter about your business. Our eBook includes valuable insights and step-by-step details to help you make the most of your BigQuery data warehouse. 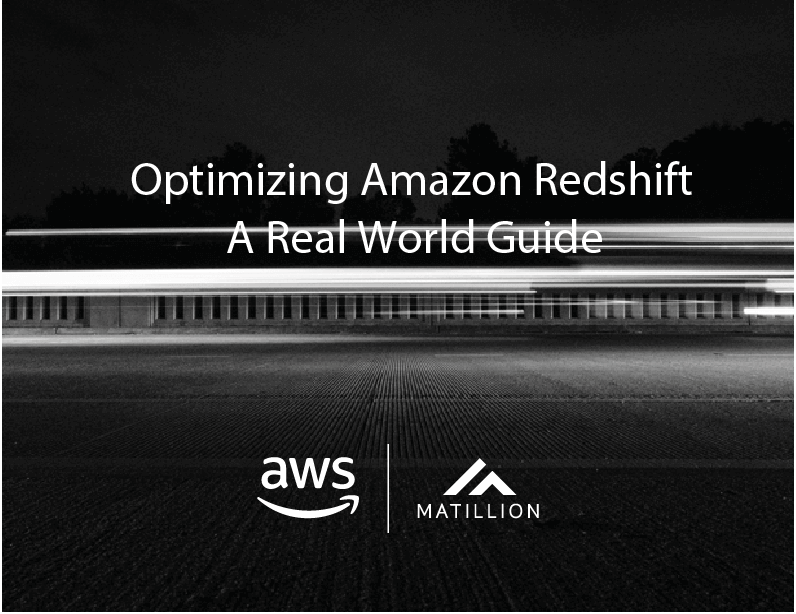 A complete 12 page guide to optimizing and getting the most out of Amazon Redshift. Amazon Redshift revolutionized the way companies of all sizes, from SMBs to large Enterprises handle Big Data analytics and Data Warehousing. 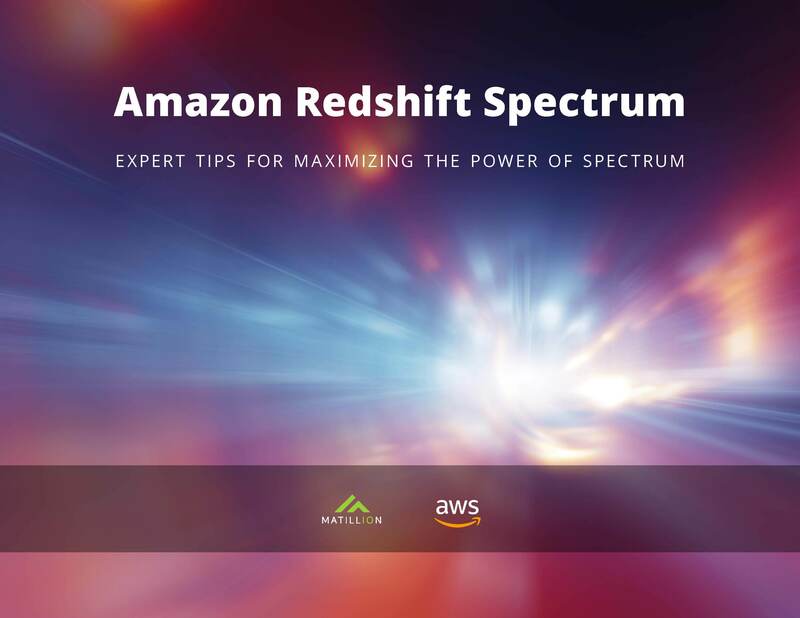 Whether you are an experienced Amazon Redshift user or still evaluating data warehouse solutions, our FREE guide will help you understand how to configure and use Amazon Redshift properly to ensure it delivers on performance, cost, and scalability for your company.